Olympus Corporation is proud to announce the new 'interchangeable lens' camera, the Olympus PEN E-PL9. The standard Micro Four Thirds System camera is packed with features that make photography more fun. Sandy Chandra, Marketing Manager of Olympus Customer Care Indonesia (OCCI), said Olympus PEN E-PL9 was launched at the moment of Ramadan to meet the needs of consumers who want to have affordable and reliable quality camera to be used to capture the moment when celebrating Eid. "Eid Al-Fitr holiday moment is usually used to stay in touch with relatives and also holidays to tourist attractions. The Olympus PEN E-PL9's compact and practical design makes this camera a perfect fit for traveling without the hassle. Whether it's an expert or still learning photography, features and capabilities to support the needs of consumers who want to capture a special moment, "said Sandy Chandra. According to him, Olympus PEN E-PL9 has a technology that allows users to easily capture artistic photographs, and has a sophisticated and stylish exterior design. Users can easily import images taken with E-PL9 to smartphones for quick and easy sharing on social media. In this high-performance camera, there's Art Filter Mode that makes images more impressive like the Pro in a very easy way. A wide range of detachable lenses are available to extend photographic expression, such as controlling perspective to produce prominent images or achieve beautiful defocusing effects. Olympus Customer Care Indonesia (OCCI) markets Olympus PEN E-PL9 entry level camera with 14-42mm EZ Lens Kit for Rp 10,499,000. On the purchase package, consumers will get a free bonus SDHC 32Gb Class 10. 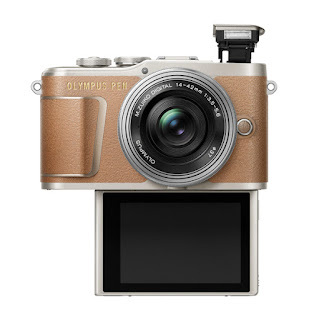 0 Response to "Olympus Presents PEN E-PL9 For The Moment of Ramadan"